On Friday I went to Dammam International Airport lake. The lake has developed from the waste water that's drained off from all the airport facilities. I'm sure there's a bit of sewerage too. It's quite large in area but not very deep, possibly no more than three feet at it's deepest part. However it does sustain a large amount of waders and grebes and a variety of other birds in the surrounding reeds and boggy sand. I'd gone to the airport with the intention of photographing some hoopoe-larks. I saw six but this was the only picture I got. There were quite a few black-crowned sparrow-larks around as a consolation. This juvenile could only be a few weeks old. One unusual observation at the airport was a red-backed shrike (sorry missed the shot). I've never heard of them being here so late on. Mind you we have just had two weeks of constant dust storms that must have played havoc with any late returning birds. On the way to the airport, I spotted this terrapin basking on the rocks at a freshwater inlet to the sea. He was a good size, I'd estimate about 10" across. Thursday and Friday proved very interesting. On Thursday I'd spotted a curlew in a field not usually frequented by curlews. Each time I passed the field it seemed to be there. On Friday it was in the same field so I decided to stop and observe it. While I was watching, another, smaller curlew appeared but this one stayed close to tallish grass. Unfortunately before I could get some close together shots, a frm vehicle drove past and scared the bigger of the two off. The smaller one hid in long grass. I was hoping this would be a breeding record but when I sent the pictures to Norman van Swelm, he thinks they are both first summer birds. Here are the pictures, I'd be interested to know other's opinions. 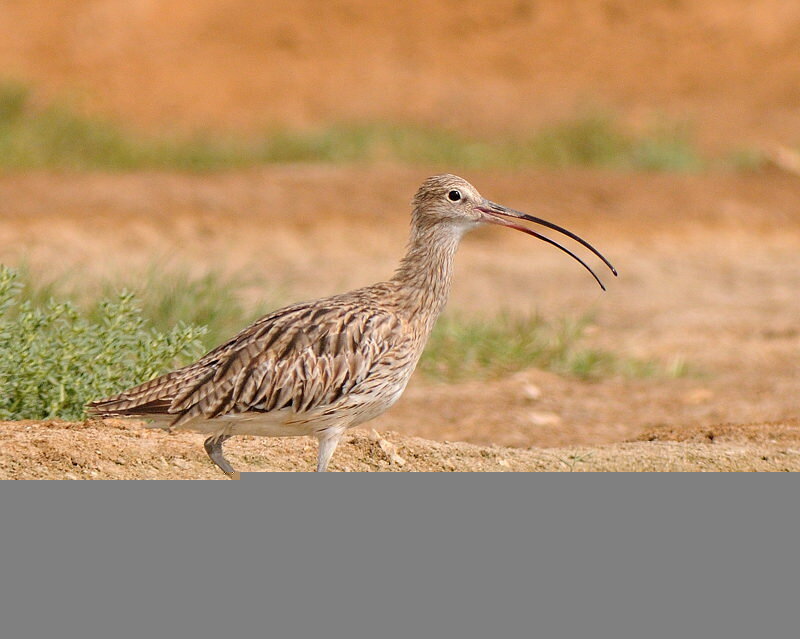 Latest update on the curlews.............the consensus of opinion is they are first summer birds that did not return to the breeding grounds. Thursday was very dusty so I spent some time photographing bugs etc. Friday was a lot better and I managed to get some more bird pictures. Preying mantis in wait for a juicy insect. The smallest bee I've ever seen. It measured 1/8" or 3.2mm long. I'd been hoping for a good shot of a rufous bush-robin, well I'll settle for this one. A seed eating Indian silverbill. This is the best shot I could get of a Spanish sparrow. Yesterday proved to be a lucky day in some respects. 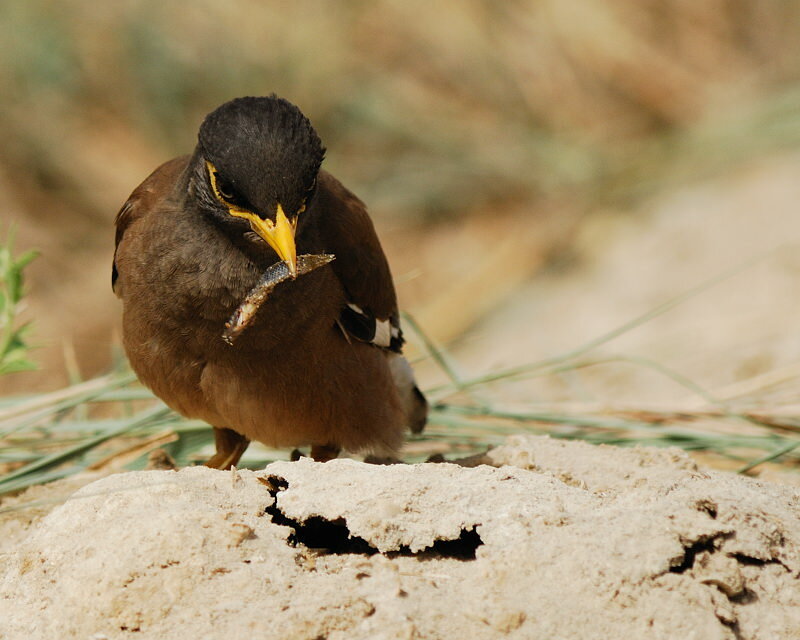 I spotted about half a dozen mynahs and several sparrows in shallow water of a drainage ditch. To try to see what they were doing, I crept forward to take some pictures. 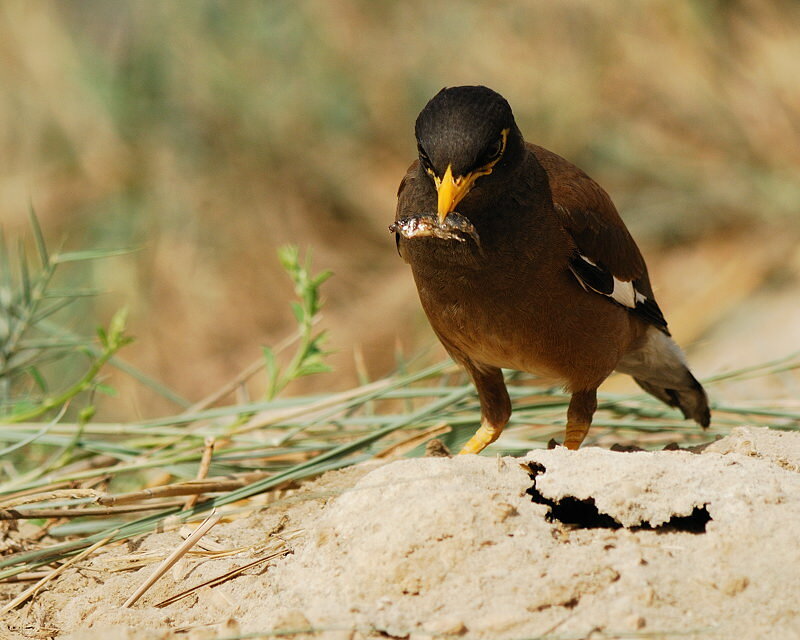 To my surprise, the mynahs were catching small fish in the shallow water. 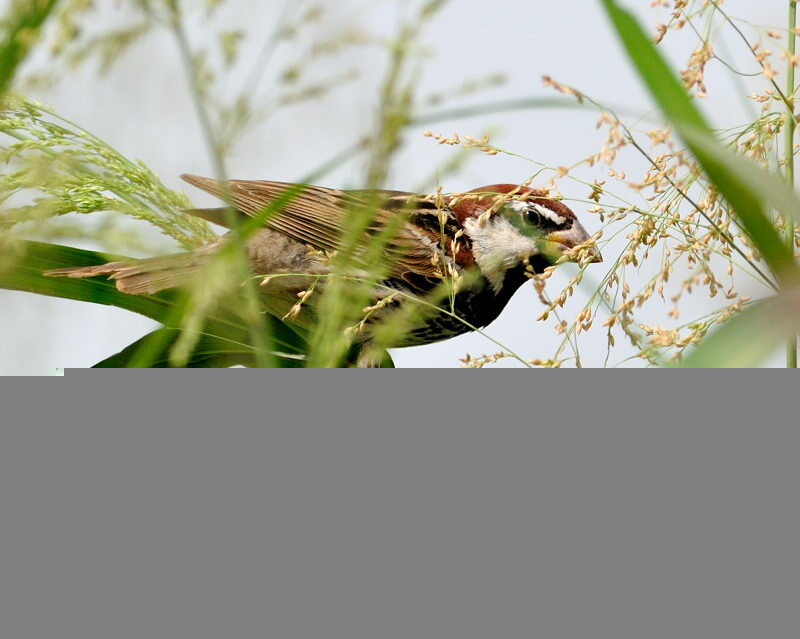 I could not vouch for the sparrows as they were spooked before I could study them. 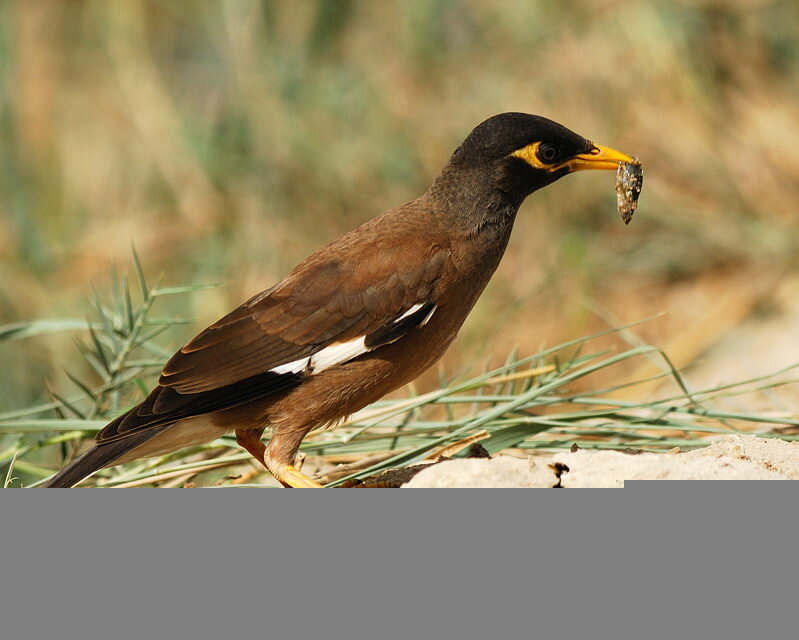 Below are a series of pictures I managed to get of one of the mynahs. The only other image of note is this rufous bush robin. Friday was very blustery and the sand was rising. As a consequence there was not much around. I took a quick trip to Badaan Farm and managed to get a few pictures. This rufous bush robin would not turn round or raise it's tail. A very uncooperative bird. The scourge of the Middle East, an Indian house crow. This Saunders's tern was hunting up and down the irrigation ditches. 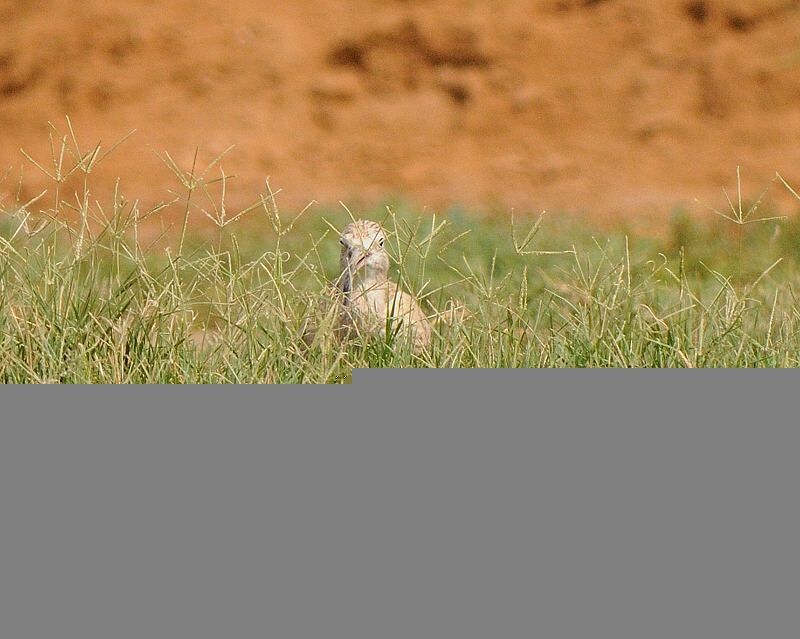 When there's not much about, take a picture of a crested lark. It was not until I put this picture of a kestrel on the computer that I noticed he only had one leg. I guess he'd been trapped at some point and lost the leg escaping. Nevertheless he looks healthy enough. It's been too hot for many birds this weekend, Thurs/Friday. Most, if not all the migratory birds have gone and our summer visitors are arriving. One of our summer visitors, a black-crowned finch/sparrow lark. 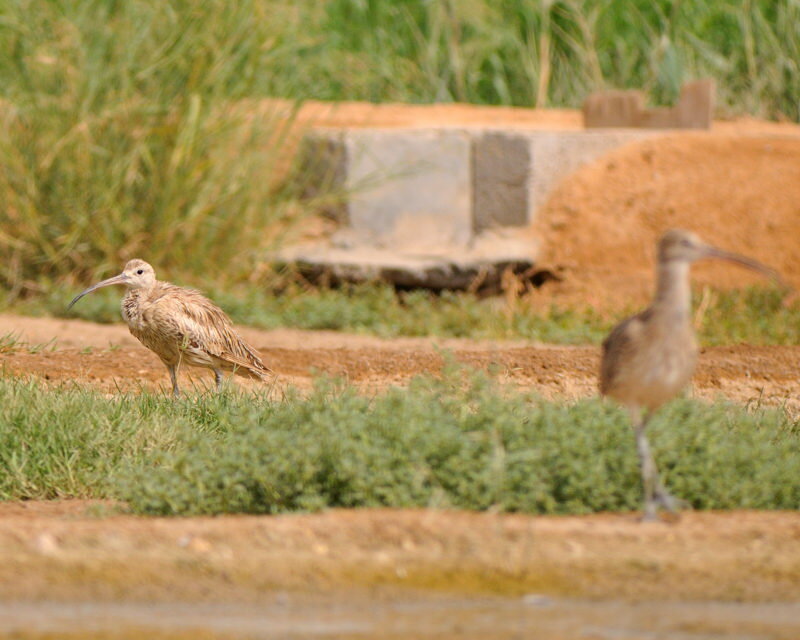 It was 42 deg C when I took this picture and the only other bird around was a distant cream coloured courser.